The Chinese Bamboo plant starts from a tiny seed. You plant the seed in the dirt, and you water and fertilize it. Nothing happens the first year…no sprout, no sign of life, nothing. If you’re persistent, the second year you water and fertilize and protect the seed, and nothing happens. The same for the third and fourth year. No sprout, no shoot, nothing. Then, in the fifth year, if you’re still keeping the faith and watering and fertilizing the seed, the Chinese Bamboo plant begins to grow. In fact, it grows 90 feet tall in just 6 weeks! The question is, did it grow 90 feet in six weeks or in five years? Five years, right? If at any point you had either stopped caring for the seed or worse, dug it up to see why the heck nothing was happening, it would have stopped growing and died. I remember the first time I heard this story. It’s stuck with me since and there have been lots of times in the past eight years when I’ve had to remind myself that I don’t really know what’s going on “beneath the surface” in my business. That I can’t stop taking care of it and I can’t give up. 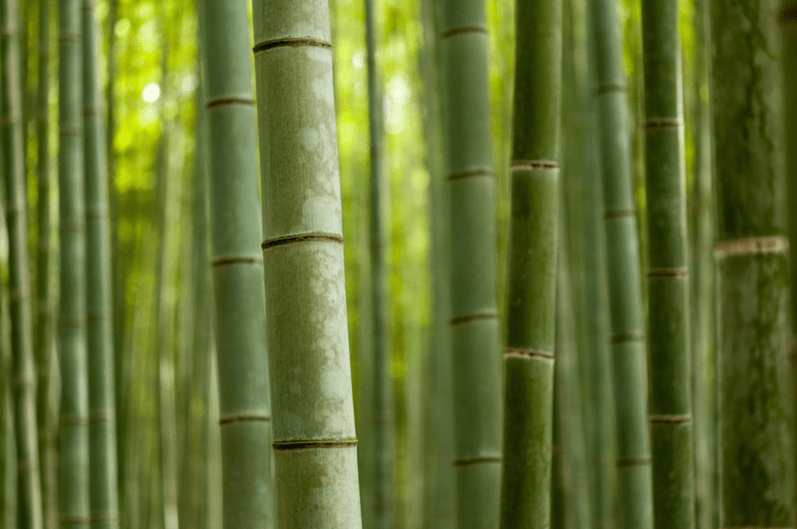 Your direct sales/home party plan business is just like the Chinese Bamboo plant. You invest a lot of time and effort developing yourself and the tools you need to create a successful business, and nothing happens. You spend endless hours working with your team members to coach them in the development of their strengths and their own businesses, and nothing happens. You perfect your party and follow up with people to book parties, and nothing happens. If you’re like most direct sellers, you’ll be tempted to give up. Here’s the thing. If you give up, the seeds you planted, nurtured, cared for, will die. But if you continue to care for the seeds, if you have faith and you don’t give up, one day (when you least expect it) the results of your labor could seem to magically appear overnight! The difference between those who succeed and those who fail in direct sales is such a fine line. I think the deciding factor has to do with one simple thing. Who gives up and who keeps going, no matter what. So don’t give up. You never know what’s waiting for you just beneath the surface of your business. Grab your complimentary copy of my “Book Yourself Solid In The Next 30 Days” roadmap. It’s yours for free when you subscribe to my mailing list. Already a member of the list? My system won’t add you twice, so go ahead and grab the roadmap anyhow. Click here to grab your roadmap now!